TimberTech’s RadianceRail system is clean, crisp and vibrant, with no exposed hardware to ruin its appearance. 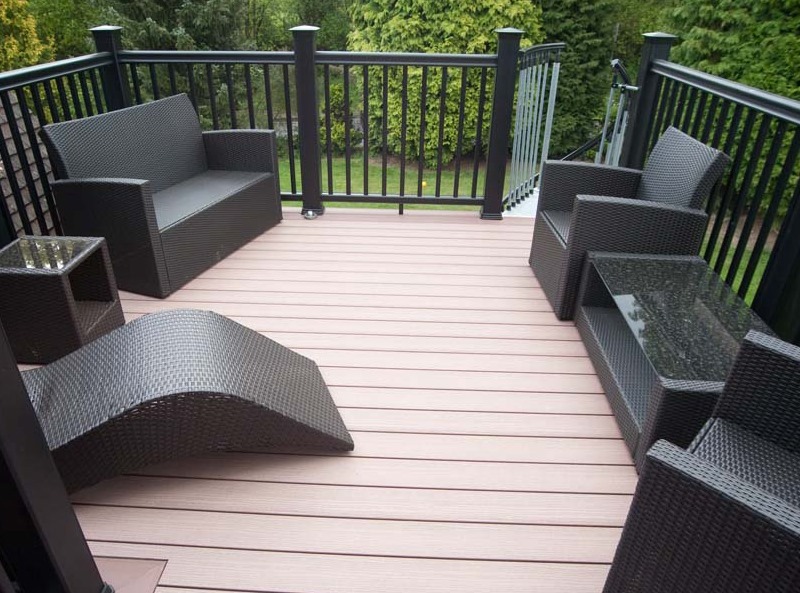 This high-quality composite railing system is a stunning addition to any deck, and it’s available in three different colours: black, white, and brown. Whether you want your garden deck to look charmingly traditional or a little more contemporary, this is the perfect finishing touch! RadianceRail is our market-leading composite railing system. 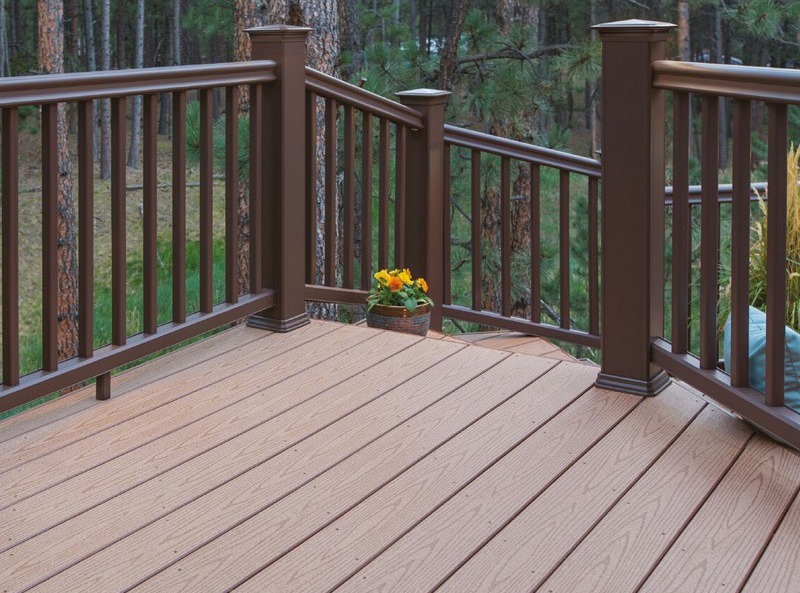 It’s manufactured from the same superior materials as TimberTech deck boards, with an additional PVC co-extruded surface. 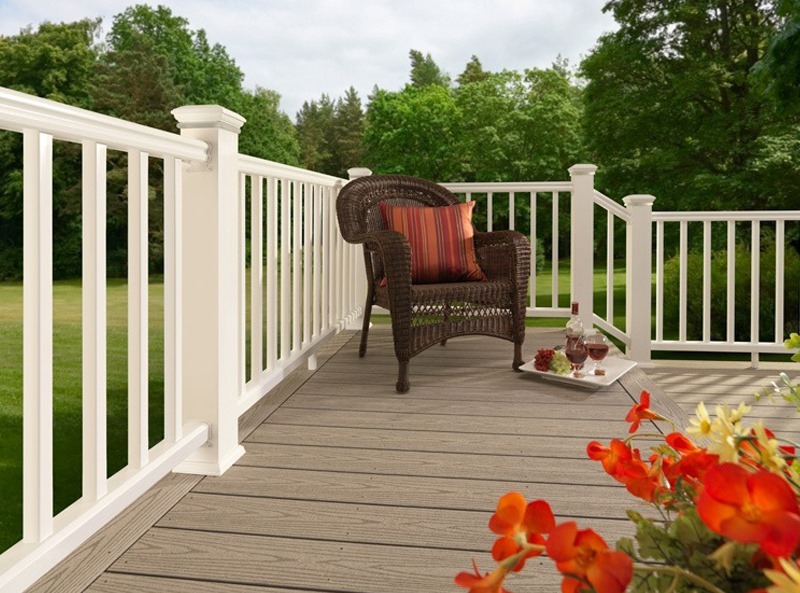 This creates a dense, strong, moisture-resistant decking handrail that never requires staining, painting or oiling. So when replacing a rotting wooden handrail or a hollow PVC handrail systems that bows, flexes and creaks, why not choose the streamlined look and feel of our contemporary RadianceRail system? 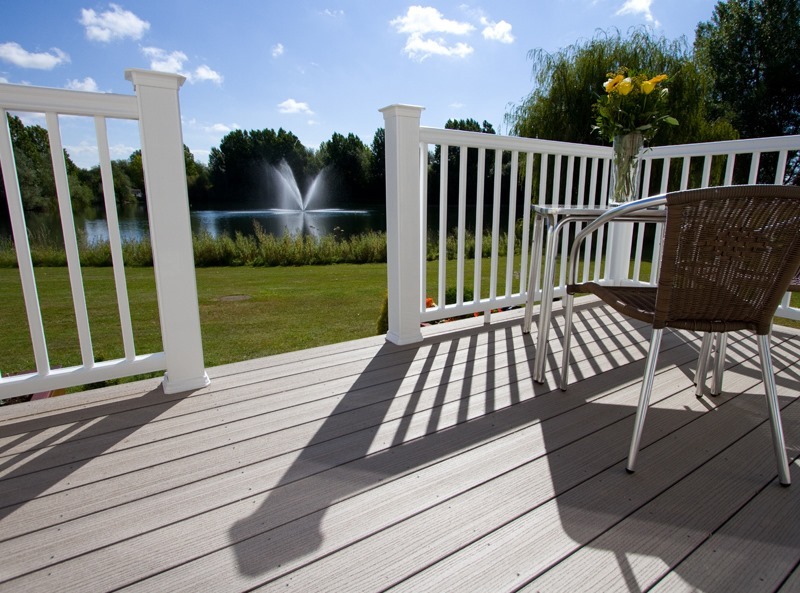 Our composite decking looks even better with this railing system alongside it! TimberTech products are a lot more versatile than just decks and railing systems – other recent projects have also included gates, porches, and balconies, so contact us and we can help with all your outdoor landscaping needs. The architectural styling, detailed accessories and ease of installation puts our RadianceRail system in a class of its own!